OPPO is developing the next generation successor of its F7 smartphone launched back in March this year. Dubbed as the OPPO F9 and F9 Pro, it recently received Bluetooth certification, and also an alleged teaser surfaced online. Now, the two smartphones with model number PBCM00 and PBCT00 made an appearance in Chinese regulatory agency TENAA. 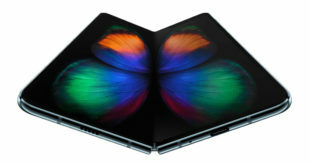 The two smartphones also received certification from China’s Ministry of Industry and Information Technology (CMIIT). The images from TENAA match with the earlier OPPO F9/F9 Pro teaser. The horizontally arranged dual camera along with the LED flash is a direct match from the teaser. It appears to have a glass body without a top notch. The volume rocker is placed on the left side while the right side houses the power button. Like the F7, it comes with a bezel-less design. 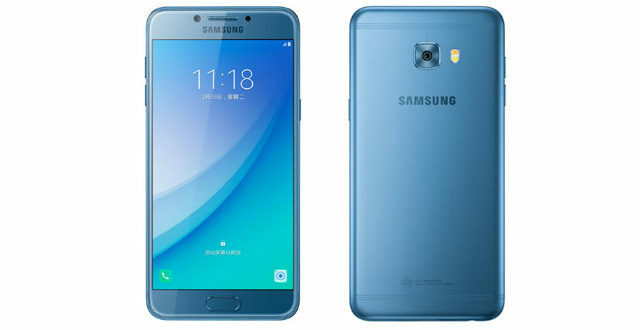 Now, its predecessor came with an oval fingerprint sensor in the rear, but its missing from the F9/F9 Pro. It may be due to a prototype error, but the company has other options too. The company filed a patent for an under-display fingerprint sensor in April this year. 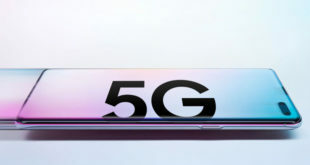 The recent OPPO Find X flagship came with a 3D Face unlock scanner, but the absence of a notch makes the theory less credible. 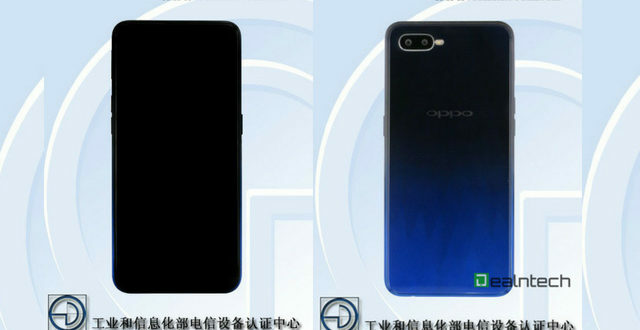 But at this time, OPPO is not likely to release a mid-range smartphone sorely dependent on camera aided Facial recognition. 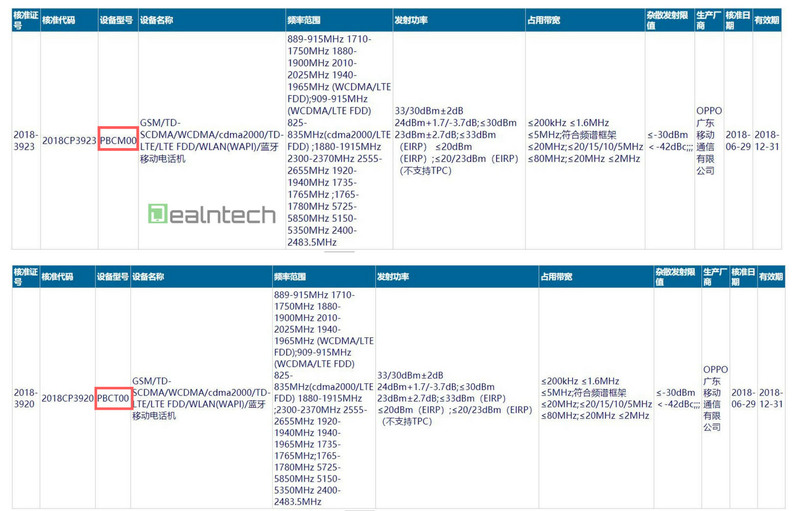 The details specifications of the smartphone are yet to be revealed, but due to the same Bluetooth module as some other OPPO smartphones, it is speculated to be powered by the same MediaTek Helio P60 chipset (MT 6771). The regular variant can be expected to be shipped with 4GB RAM while the Pro version may come with 6GB RAM. 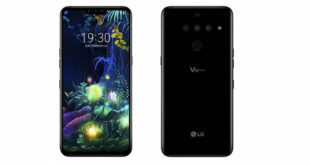 The dual cameras are expected to bring new features like 4K recording while the front camera may also get a dual camera setup or a LED flash. 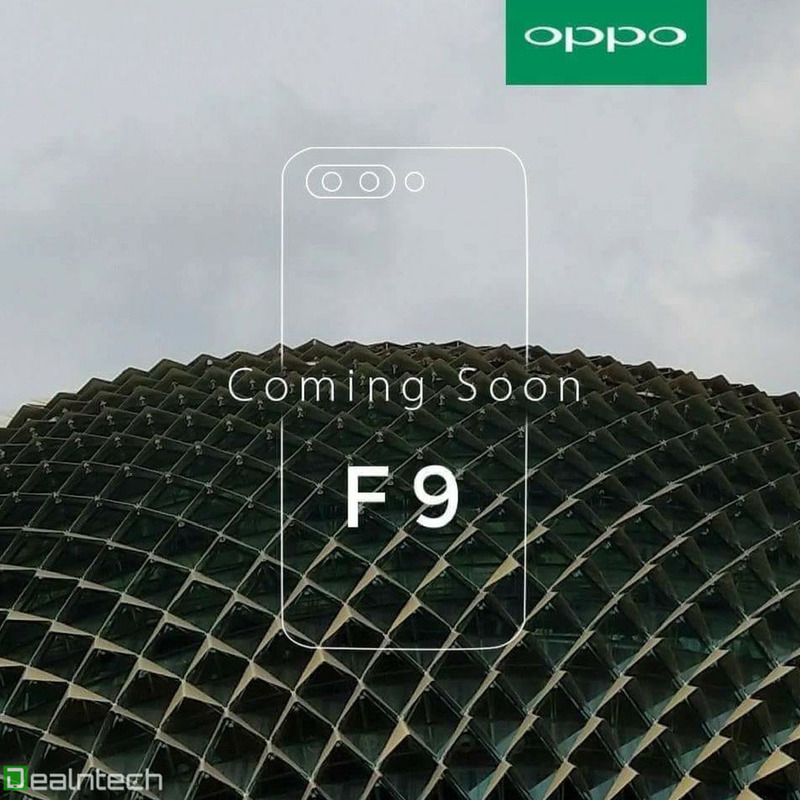 Since the F7 made it to India, we can expect the OPPO F9/F9 Pro to be released too. 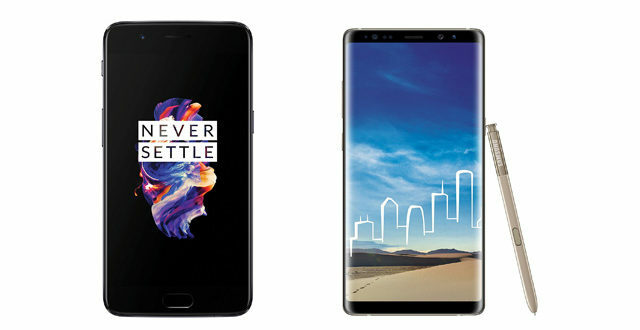 The regular variant will be priced around Rs 22,000 while the Pro variant will cost a couple of bucks more. The previous reports point to an August launch which is supported by these recent certifications.